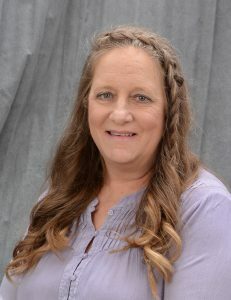 Cindy Hipszer said what she always does to anyone leaving her house when her daughter, Megan, bounced out of the house on her eighteenth birthday. About an hour later, she received a call that she'll never forget. 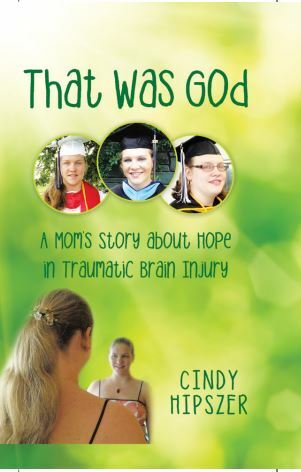 In That Was God, she shares the true story of her persistent loving daughter, who was given another chance at life after a near-fatal crash that caused her to suffer a traumatic brain injury. She also shared how her family pulled together after such a crisis -- and how their love of God made an unthinkable situation easier. At times, His presence was not always obvious. But looking back with 20/20 vision, it's clear that He was there all along. While Megan's accident would leave her with serious injuries and a long road to recovery, God was present each step along the way. 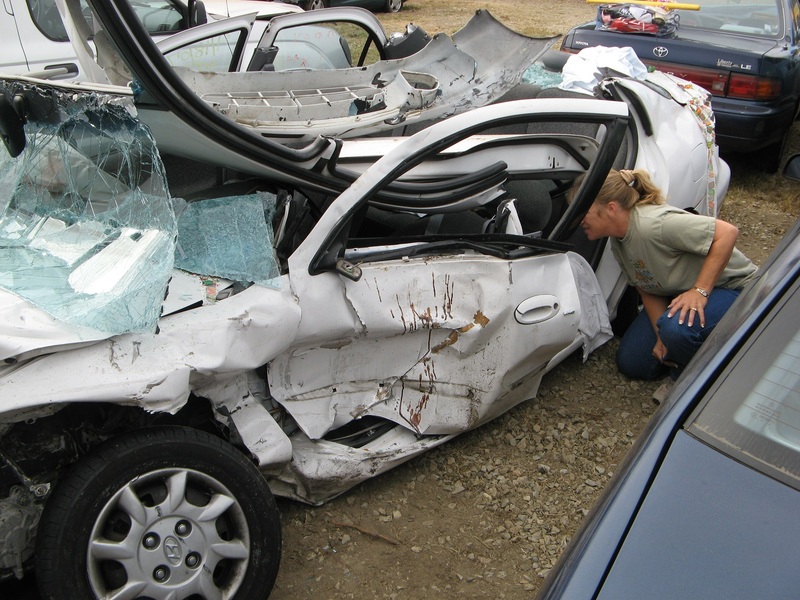 Join a mother as she recalls watching her daughter narrowly survive a horrific crash and offers spiritual and practical advice for Christian parents and children who may be facing similar challenges in this compelling story of hope and faith. Cindy Hipszer and her husband, Tony, have been married since 1983. They have three adult children and three grandchildren. She is a former Special Education Teacher, Vocational Rehabilitation Supervisor, and now teaches remedial math and reading. She volunteers helping the homeless and in disaster relief efforts. Cindy and Tony continue to travel the globe doing mission work. She loves activities with her family, camping, traveling and reading. Her favorite time is spent worshipping and singing praise music. Read Reviews of That Was God. 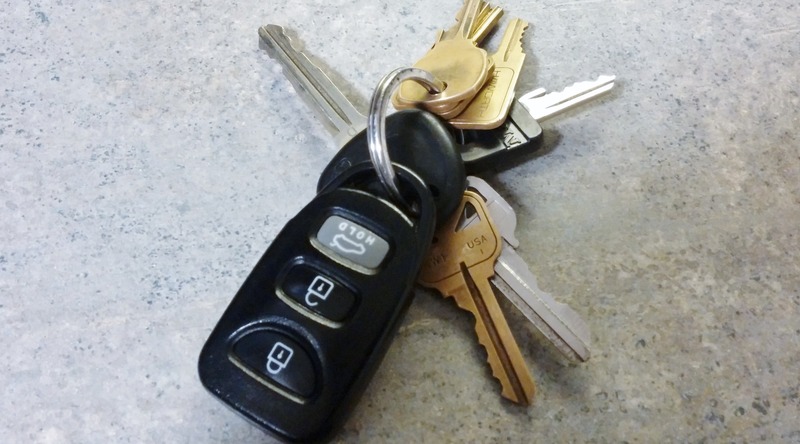 To leave your own review, click here. I started reading this book because I know the mother of the author. I also knew some of the story behind the book. I could not lay this book down once I started reading. I was so taken with the way Cindy explained every minute of this tragic accident. She did such a beautiful job under such traumatic curcumstances. I honestly do not know how she wrote so clear and concise of the events that took place. I felt so much of what the family felt. I cried, laughed, experienced real hope, joy and faith in God. He was definitely with Megan the day of her accident. I am so very happy with the progress that Megan has made and I know that her family is so proud of her. I am in awe of Cindy Hipzer in the way she was able to tell such a heartfelt event in her family's life. This book is a must read. Thank you so much Maureen! My heart is touched that you "felt" all that we experienced! Cindy loves her family, her friends, and most especially, she loves God. This is HER story – her joys, her struggles, her strength, her questions, her hope, her faith. That Was God is a multidimensional epic centered on my youngest daughter’s fight back from a horrible automobile accident and the resultant physiological and emotional challenges she faced. It is a story about insurmountable adversity and about God’s goodness through it. Make no mistake – this is not a story filled with miraculous signs and happy dances all around. God shows up in so many ways, yet the reader will go on an emotional rollercoaster ride with Cindy that lasts years. One that I did not fully understand before reading it. I expected to be familiar with much of the content as I began to read. I quickly learned that Cindy and I lived the same story but experienced much of it differently. A loose analogy is how the four gospels recount identical events of Jesus’ life, but offer different perspectives. After reading That Was God, I had a deeper understanding of Megan’s experiences, as well as other family members. Most importantly, I gained a deeper understanding of Cindy’s emotional experience – albeit years afterward. One would think you know most everything your best friend is thinking and feeling. Cindy and I talk every day. And when we were in the thick of this battle, we constantly shared our thoughts, fears, hopes, and joys. We cried together then – and I cried often while reliving the story. It renewed my own experiences and exposed me to a piece of Cindy’s heart I had not seen beforehand. Perhaps you chose to read this because of a similar life event; maybe one that you are still living. Truth be told – this story is still being written too, with every step forward Megan takes. Prepare to relive some of your emotions through these pages. But, also prepare to see things in a new way – through the lens of another. My prayer is that you will be stronger and better equipped because of it.